Knife switches are electric The knife switch of YaRV is applied in power chains of 50 Hz with nominal is strained by 380 V and rated working current to 400 A for rare manual switching of loading. 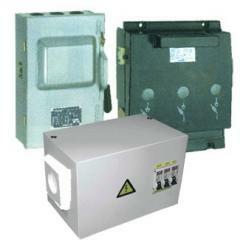 It can also protect from an overload and short circuit. Unbelievable price on Electrical knife-switches in Almaty (Kazakhstan) company "Kaztransformator" TOO. Wide choice of quality products at affordable prices.